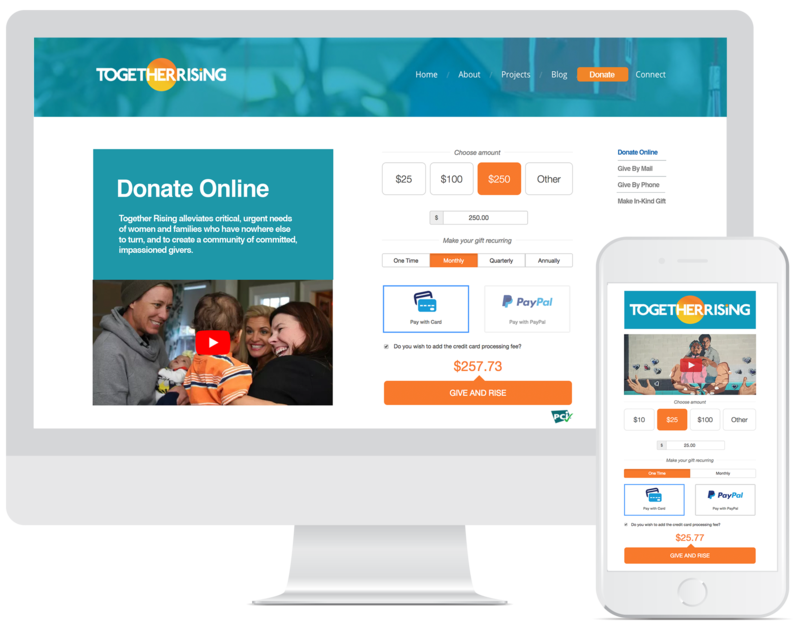 Online & Event Fundraising: Say hello to consistent donor records, integrated CRM reporting, and all your fundraising tools in one place. No Transaction Fees: We believe 100% of donations should go directly to your cause, which is why we don’t charge transaction fees and have the industry’s lowest credit card processing fee. Digital Marketing Services: Our team of experts will work directly with you and your staff to develop and implement your campaigns. Ask about our 0% credit card processing fee offer today! "We had our gala on Friday and had a hopeful goal of $7,000 but a far-out dream goal of $17,000. Well this week we are thanking God for MobileCause because we surpassed out dream goal!" "MobileCause helped us collect more than $328,000 by making it easy for our donors to give in the moment." “MobileCause has been hands down the best investment our organization has made thus far. Text to give is the easiest way to get donations!"